BASSETERRE, St. Kitts – Delivering the keynote address at the 2018 Caribbean Investment Summit, Prime Minister the Honourable Dr. Timothy Harris announced that effective June 1, his government of National Unity will launch the first tier of a $30 million-dollar housing programme for government employees. 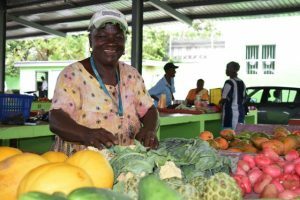 “There is more good news,” he added as he reveal that the Caribbean Development Bank has approved some $8 million of support to small business people. “This will add to the pool of [more than] 650 beneficiaries that had secured affordable financing from the Development Bank under our Fresh Start Programme.” Fresh Start provides concessionary loans and technical assistance to entrepreneurs so that they can either start or expand their micro, small and medium-sized businesses. The 2018 Caribbean Investment Summit has drawn some 300 attendees, including heads of government and CIP units from Caribbean countries, government officials from Malta and Cyprus, developers, and international marketing agents and service providers from around the world, including China, India, the Middle East, Russia, the United Kingdom and the United States of America.